 M. W. Davey, M. V. Montagu, D. Inze, et al. Review plant L-ascorbic acid: Chemistry, function, metabolism, bioavailabil- ity and effects of processing. Journal of the Science of Food and Agriculture, 2000, 80: 825-860. J. S. Hampl, C. A. Taylor and C. S. Johnston. Intakes of vitamin C, vegetables and fruits: Which schoolchildren are at risk. Jour- nal of the American College of Nutrition, 1999, 18(6): 582-590. 中国营养学会. 中国居民膳食营养素参考摄入量[M]. 北京: 中国轻工业出版社, 2000, 445-450. 王元秀, 庄海燕. 微量滴定法测定猕猴桃中维生素C的含量[J]. 济南大学学报, 2001, 15: 374-378. E. K.Janghel. V. K. Gupta. M. K.Rai, et al. Micro determination of ascorbic acid using methyl viologen. Talanta, 2007, 72: 1013- 1016. M. J. Esteve. R. Farre. A. Frigola, et al. Comparison of voltammetric and high performance liquid chromatographic methods for ascorbic acid determination in infant formulas. Food Chemistry, 1995, 52: 99-102. M. G. Hosseini, M. Faraji and M. M. Momeni. Application of titanium oxide nanotube films containing gold nanoparticles for the electroanalytical determination of ascorbic acid. Thin Solid Films, 2011, 519: 3457-3461. T. Kato, O. Ohno, T. Nagoshi, et al. Determination of small amounts of L-ascorbic acid using the chemiluminescence of an iron-chlorophyllin complex. Analytical Sciences, 2005, 21: 579- 581. 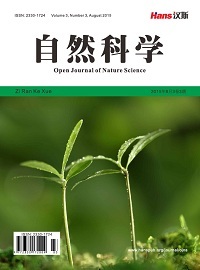 Y. P. Wen, X. M. Duan, J. K. Xu, et al. 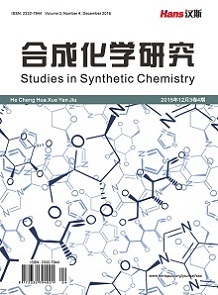 One-step electrosynthesis of poly(3,4-ethylenedioxy-thiophene)-ethylsulfate matrix for fa- bricating vitamin C electrochemical biosensor and its determina- tion in commercial juices. 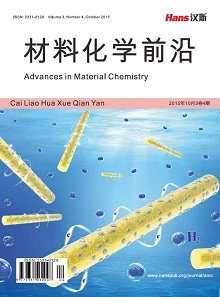 Chinese Journal of Polymer Science, 2012, 30(3): 460-469. L. Ozcan, M. Sahin and Y. Sahin. Electrochemical preparation of a molecularly imprinted polypyrrole-modified pencil graphite electrode for determination of ascorbic acid. Sensors, 2008, 8: 5792-5805. M. C. Yebra-Biurrun. Flow injection determina-tion methods of ascorbic acid. Talanta, 2000, 52: 367-383. A. M. Maia, A. R. Baby, W. J. Yasaka, et al. Validation of HPLC stability-indicating method for vitamin C in semisolid pharmaceutical/cosmetic preparations with glutathione and sodium metabisulfite, as antioxidants. Talanta, 2007, 71:639-643. S. Nojavan, K. F. M. Kiaie, et al. Extraction and quantitative determination of ascorbic acid during different maturity stages of Rosa canina L. fruit. Journal of Food Composition and Ana- lysis, 2008, 21: 300-305. V. Spinola, B. Mendes, J. S. Camara, et al. An improved and fast UHPLC-PDA methodology for determination of L-ascorbic and dehydroascorbic acids in fruits and vegetables. Evaluation of degradation rate during storage. 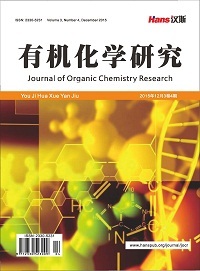 Analytical and Bioanalytical Chemistry, 2012, 403: 1049-1058. 曹志广, 丁祥欢, 叶建农. 维生素片中水溶性维生素的毛细管电泳–电化法测定[J]. 分析测试学报, 1999, 18(5): 57-59. 刘国胜, 张玉铭, 王珏云等. 用原子吸收间接法测定水果蔬菜和果汁饮料中的维生素C[J]. 河北大学学报, 1999, 19(3): 260-263. GB/T 5009.159-2003. 食品中还原型抗坏血酸的测定[S]. 中华人民共和国卫生部, 2003.